Whether you’re looking to tone up, slim down or even if you’re more interested in specialised workouts like injury recovery and post natal fitness, our studio has a class for everyone. All classes help to improve skin tone, hormone levels, bone density, fat loss, circulation and cellulite. Our popular Power Tone class concentrates on strength training. In addition to promoting fat and cellulite loss, workouts will improve toning, coordination, posture and circulation. Power Burn is a great whole body workout. Designed to tone all over, creating longer, leaner muscles while improving flexibility and posture. In this class you will definitely feel the burn. 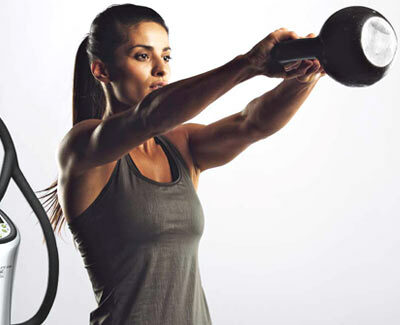 Tabata classes are an effective form of interval training. Ideal for fat loss, cellulite reduction, sculpting and improving your metabolic rate. Our circuit classes combine different exercises that challenge your strength, power and endurance. Great for general fitness and weight management, core strength and toning. Core Restore is a medium impact class that combines core strengthening and toning exercises with stretching. This class is excellent for people who sit a lot at work. This class combines stretch and massage on the plate to improve mobility. Power Flex helps with fluid retention, cortisol levels, aches and pains and injury recovery. Our Post Natal classes are designed for new mums, but they are great for anyone to try! The focus of this class is on improving pelvic floor muscles, abdominal separation, correcting posture and decreasing stress levels. Babies and children are welcome! Our classes are available Monday–Saturday. Our timetable is designed to ensure you can fit in a workout around your busy schedule so we have early morning, evening and day time classes available. On top of our small classes, we also offer personal training and private group sessions. If you’re new to working out, require more support or want a truly personalised experience, then our PT sessions will be ideal. PT sessions can be scheduled around your commitments. Please contact us to discuss your health and fitness goals, and book a session today.